U.S. 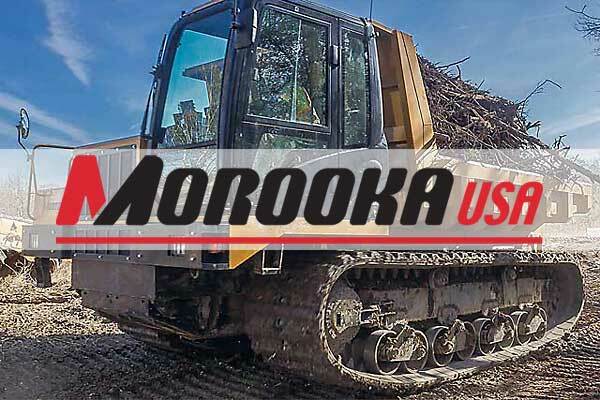 BUILT MOROOKA MST1500VD FEATURES DOT-APPROVED WIDTH FOR PERMIT-FREE TRANSPORT. Length 5,613 mm / 17' 11"
Width 2,591 mm / 8' 6"
Height 2,997 mm / 9' 6"
Min. Ground Clearance 508 mm / 20"
Gauge 1803 mm / 5' 11"
Track Width 700 mm / 28"
Length of Dump Bed 3,099 mm / 10' 2"
Width of Dump Bed 2,413 mm / 7' 3"
Machine Weight 211,236 kg / 22,040 lbs. Fuel Cap. (gal.) 200 liters / 53 gal. Maximum Load 7,000 kg / 15,435 lbs. Height of Bed at Full Dump 4,394 mm / 14' 5"
Min. Ground Clearance 1' 8"